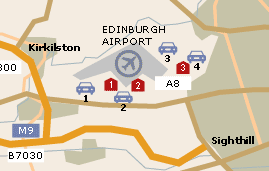 Airport Parking offers a wide range of options for parking at Edinburgh Airport. With both on and off-airport options, there will be something on offer to suit every need and budget. For a quote please click here. So as well as being a more convenient option, it may also be easier on your finances. To view the hotels on offer at Edinburgh Airport and get a quote please click here. Airport and Tourist Information desk is in the international arrivals hall. Left luggage/lost property is between check in and international arrivals on the ground floor. Trolleys are available throughout the terminal. Toilets are in the UK arrivals hall and departure lounge. 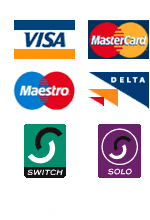 Cash dispensers accept all major cards and can be found throughout the terminal, both land and airside. The car hire desk is in the UK arrivals hall. Bureau de Change is located opposite the tourist information desk, and before the boarding card check point. There is one bureau airside, which can be found b opposite the World Duty Free shop. There are reserved seating areas throughout Edinburgh airport. These include induction loops, wheelchair access and arm rests on the chairs. The information monitors are positioned at a low-level. Phones are fitted with induction couplers . Minicom available and some staff members are trained in the use of sign language. Both long and short-stay car parks have disabled spaces. Baby care facilities are located next to the toilets in the arrival hall and the departure lounge. All restaurants welcome children; and most have special children's menus.